I was saddened to read in today’s Observer newspaper that the character or Berlin’s old Mitte district seems to be changing – becoming gentrified with an influx of yuppies. I’ve nothing against an area developing and new blood coming in, as long as the essential character of a place doesn’t get bulldozed. 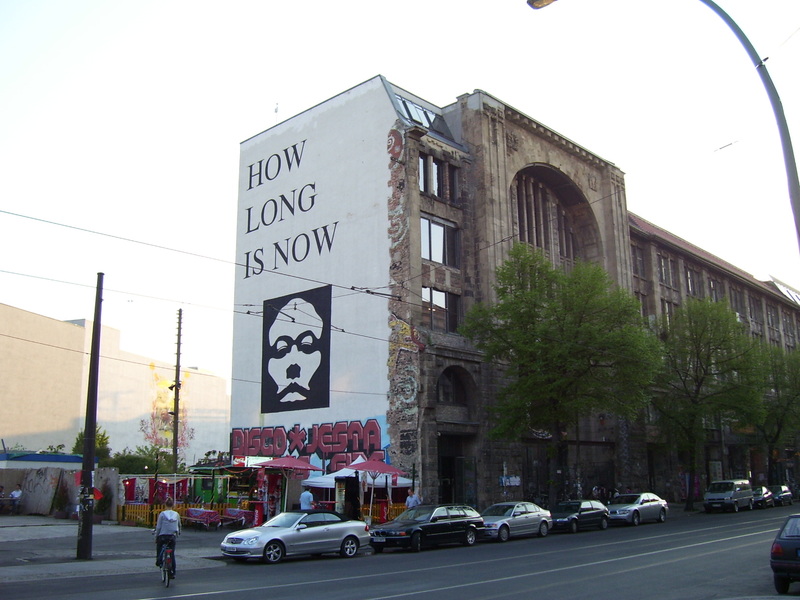 As anyone (the numbers are few, I know) who has read my website will know, I find Berlin a fascinating place, where you feel you are standing the past and the present constantly. When my wife and I visited the Mitte district it had a unique feel to it. I took the attached photo purely for it’s visual and didn’t know this is in fact the Kunsthaus Tacheles in the former Jewish quarter, though I should have guessed that it provides studio space for artists and has been a prison, a squat and a centre of counter culture. It ‘d due to be wiped from the map sometime soon, but you can be sure the demolition men won’t stop there. I find it a crying shame. I was very struck in Berlin by the effort that had been made to petrify history’s footprint. I loved the way slabs of the Berlin Wall stood leaning against shops, like old men of few words and many memories. Let’s hope sense prevails.